If you ask any of the team at Byrdie Australia we'll admit that we have an unnatural love for all things skincare. Our office (and our bathrooms) is packed with lotions and potions that promise to leave us feeling tighter, brighter, smoother or softer. But where did this obsession begin? Most would agree that a girls fascination with beauty often starts with her mum, and we admit that we're no different. In all fairness, these days it's more often us dishing out skincare advice to our dear mummas, but there's no doubt they're still navigating a bunch of age-related skin changes before we do (and thank goodness, right?). Because of their undoubted expertise and experience, we decided to ask our mums for their skin secrets, and more specifically their thoughts on ageing. In our opinion (although we might be biased), our mums are the perfect example of what it means to age gracefully, so we quizzed them on how it feels to watch your skin change, the products they can't live without, and the importance of looking after yourself from the inside out (oh, and how major it is to always wear sunscreen). Keep scrolling for the full conversation. Byrdie Australia: What is your approach to ageing? Lori White: "I would say my thoughts on ageing are probably quite typical. I don't like it and I don't want it to happen too quickly. Although, I think the best attitude to have is to look after what you've been given. Not only on the skin’s surface, but also what you feed yourself on the inside. I try to take care of my skin, keep it clean and hydrated. I also work on airplanes, so the hydration factor is so, so important. I've been fortunate enough to try some products that I never would have been able to (or hadn't even heard of) if my daughter hadn't introduced me to them." B: Was there an age when your outlook on beauty and skincare changed? LW: "I probably became more conscious of my skincare and beauty when I hit my forties. It was then that I noticed changes in my skin. I started getting Botox in my forehead and between my eyebrows about five years ago. It’s subtle, but at the same time makes an incredible difference. I’m not shy or afraid to share it with people who ask." B: How do you go about choosing your skincare products? LW: "As for choosing my skincare, I use a lot of what is recommended to me by my daughter. This is how I’ve discovered so many of the products I’ve continued to buy and use. I love anything that is hydrating, nourishing, and don’t mind mixing high and low brands." B: What skincare products can you not live without? LW: "I can't live without a good serum—I like By Terry or Estee Lauder right now. Also coconut oil ($13), Blistex Intensive Repair lip balm ($6), Welleco Super Elixir Alkalising Greens Formula ($49), and Invisible Zinc Facial Moisturiser ($35)." Christine Stavropoulos: "It’s an inevitable part of life but you don’t have to let it swallow you up. I approach it from the inside out. I’ve adopted a regimen of clean food and an all-round healthy diet, including probiotics. Most importantly, I stay active (both my mind and body). I take daily walks or runs with my dog, and try to follow a Mediterranean diet." CS: "When I turned 50, I dug into my science background and looked more into the science of skincare (more than what they can tell you at any beauty counter). Now I've adopted a more holistic approach—I don't just wipe stuff on my face because a 20-something with flawless skin is promoting it." CS: "It can be daunting when faced with a multitude of products and ingredients, such as retinol, AHAs, vitamin C, hyaluronic acid, light therapies, and peels. Learning what to use and when to use it is important, so reading and understanding skincare is something I’m interested in. I try to use products that contain active ingredients." B: What 5 skincare products can you not live without? 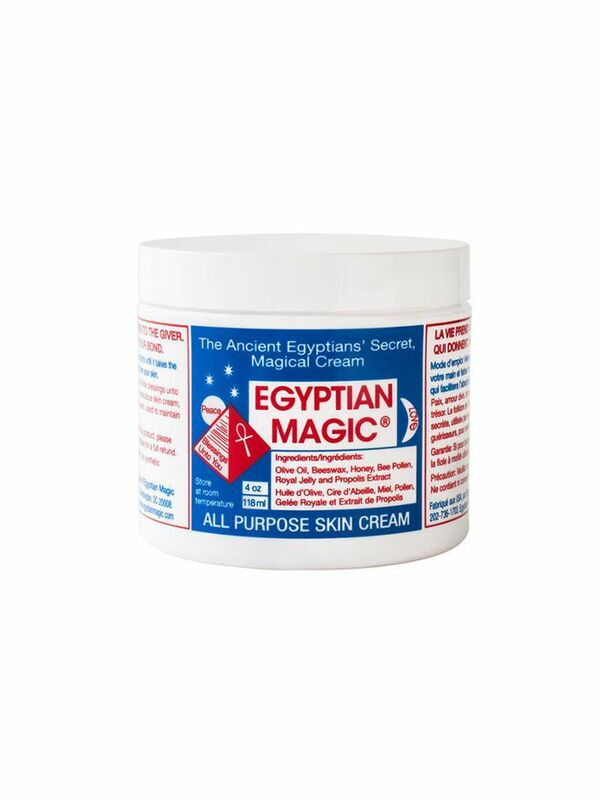 CS: "My all time, can’t-live-without product is Egyptian Magic ($35). 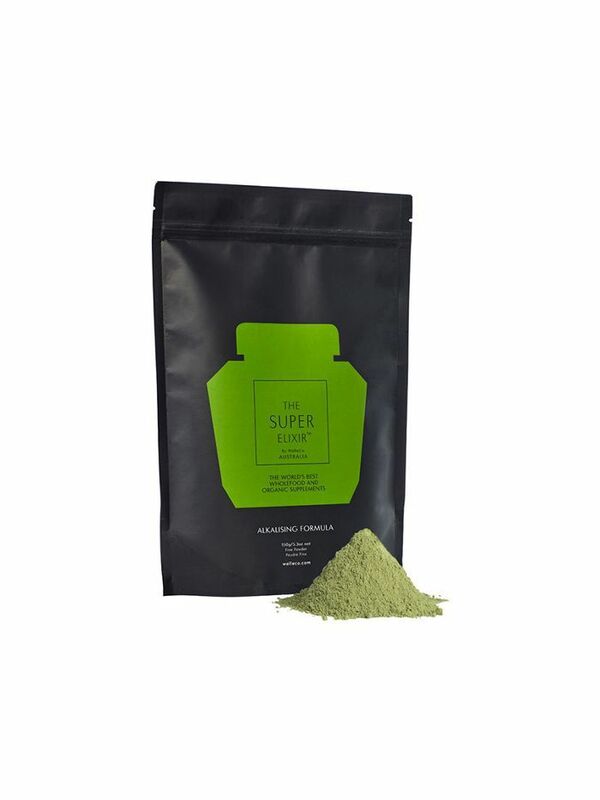 It’s made up of just five natural ingredients. I use it as my makeup remover, as it emulsifies everything. Once I wipe it off, I'm left with soft, dewy skin. I also use it as an after-sun body moisturiser, a massage cream, and treatment for skin irritations. I also love Perricone MD Eyelid Serum ($176). 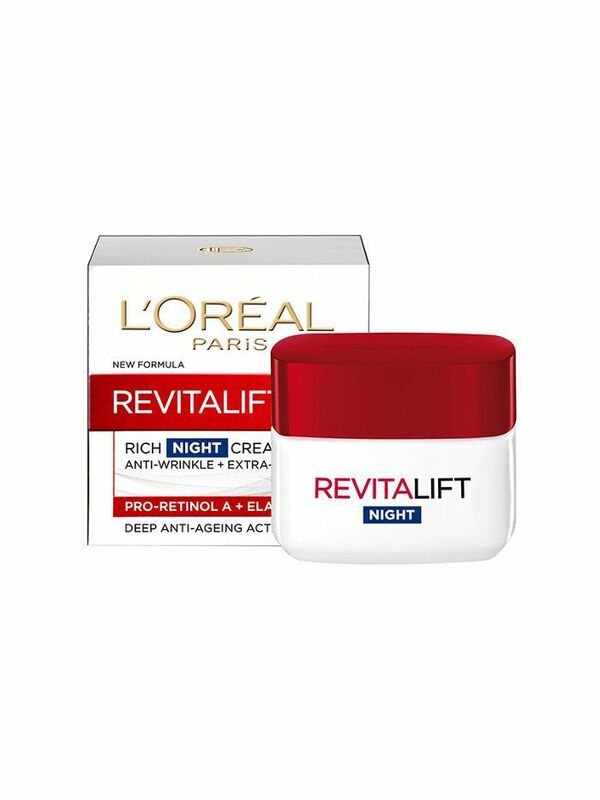 It’s the best at firming and lifting the eyelid. Otherwise, I always have an active vitamin C serum, hydroquinone with retinol from a compound pharmacy, and Korres Tinted Face Sunscreen." Maria Squadrito: "To age as gracefully as possible. I don’t want to fight it, but I won’t give in to it either. Looking healthy and vibrant is what is most important." MS: "There have been several changes in my outlook over the past 30 years. In my 20s, I still had to deal with occasional breakouts and oily skin. I also exposed my skin to the sun often for a 'natural' glow (cringe). I wore minimal makeup as my skin tone was even. When I became a mum, my beauty regimen became much simpler and, I must admit, has stayed that way, even 20 years later. Now I am concerned with dry skin and rarely expose it to the sun without SPF 50. My skin tone has also changed, so a light foundation is always necessary. I have become aware that the way I look on the outside reflects the way I feel inside, so that old adage of 'beauty comes from within' is more important than ever." MS: "Availability is very important. I’m not a big shopper so brands that are available at supermarkets tend to be my go-to. Trial and error is how I’ve chosen most products I use." MS: What 5 skincare products can you absolutely not live without? MS: I love Nivea Facial Wash ($10), Aapri Apricot Facial Scrub ($8), L’Oreal Paris Revitalift Night Cream ($33), Garnier BB Cream ($16), and Neutrogena Ultrasheer Face Lotion SPF 50 ($17). Maria Burnell: "I'm all for ageing gracefully, but also use a good skincare regimen to try and manage the pigmentation on my cheeks." MB: "When I moved to Australia from the Philippines, and then after pregnancy when I ended up with pigmentation. These days, it’s a struggle to manage, and it always gets worse when I’m in the sun without SPF. This is why I’m so careful with sunscreen." MB: "I always choose anti-aging products. 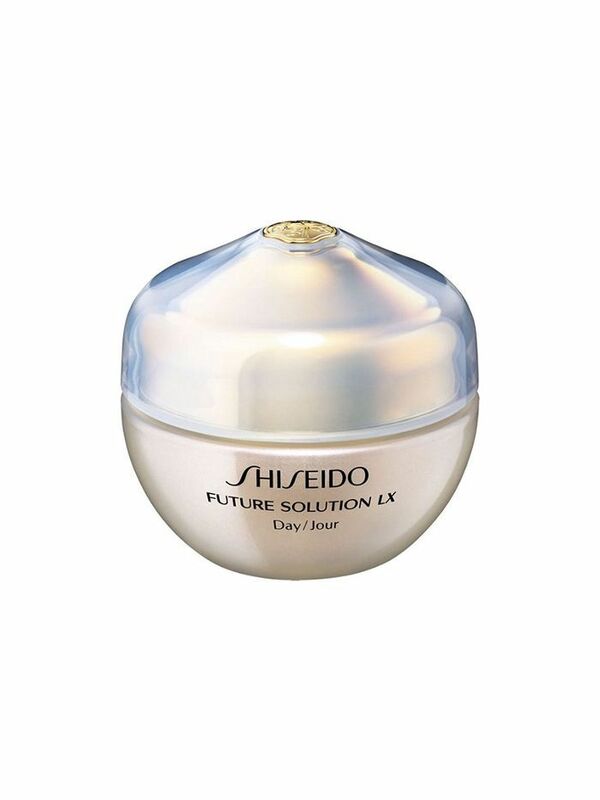 I love the Japanese skincare brand Shiseido, so I use a lot of products in its range." B: What five skincare products can you not live without? MB: "I love Shiseido Future Solutions Day Cream ($425), Shiseido Elixir Lifting Night Cream ($79), Nivea Extra Whitening Repair Pore Minimiser Skin Toner, Kogic whitening soap, and Elizabeth Arden Prevage Anti-Ageing Eye Serum ($135)." Want more beauty? Follow us on Pinterest.